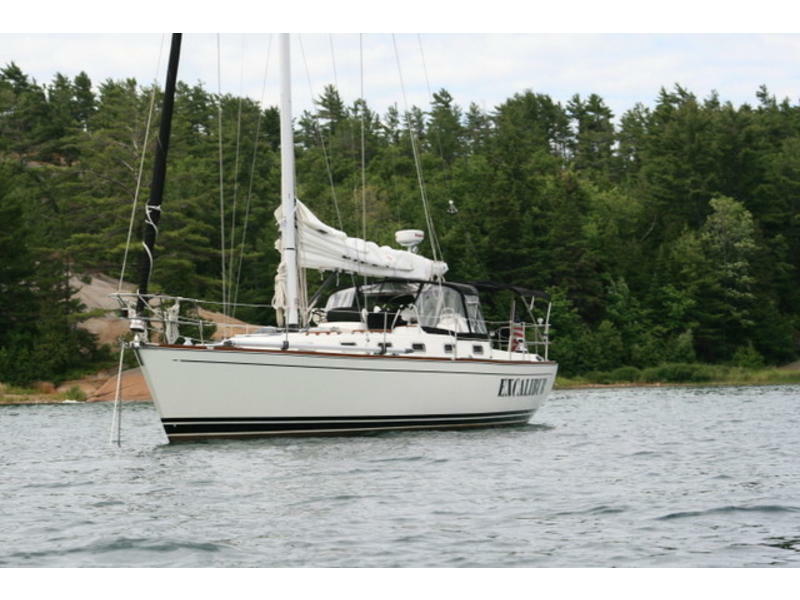 Excalibur is a beautiful, very well maintained, freshwater Tartan 4100. Shows like new. 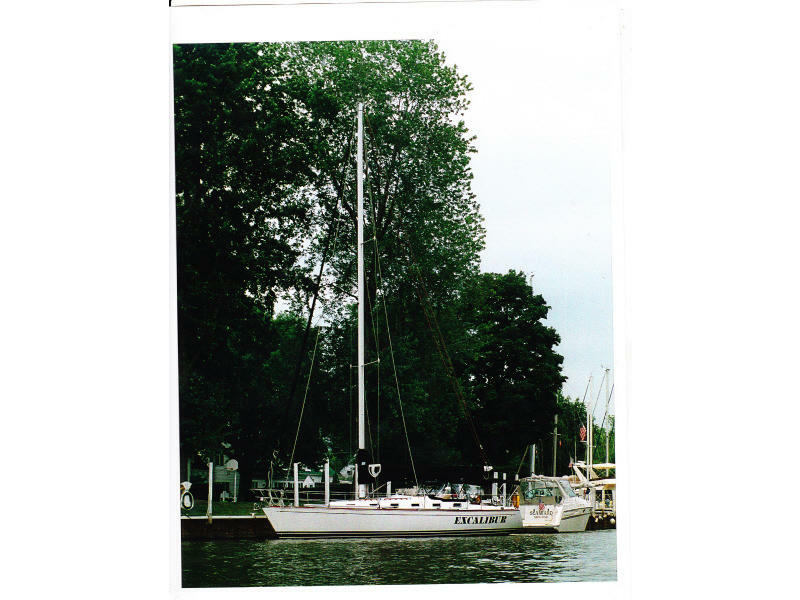 She has never been in salt water and has always enjoyed inside winter storage.Excalibur is equipped for comfortable long range cruising and has made many circumnavigations of the Great Lakes. 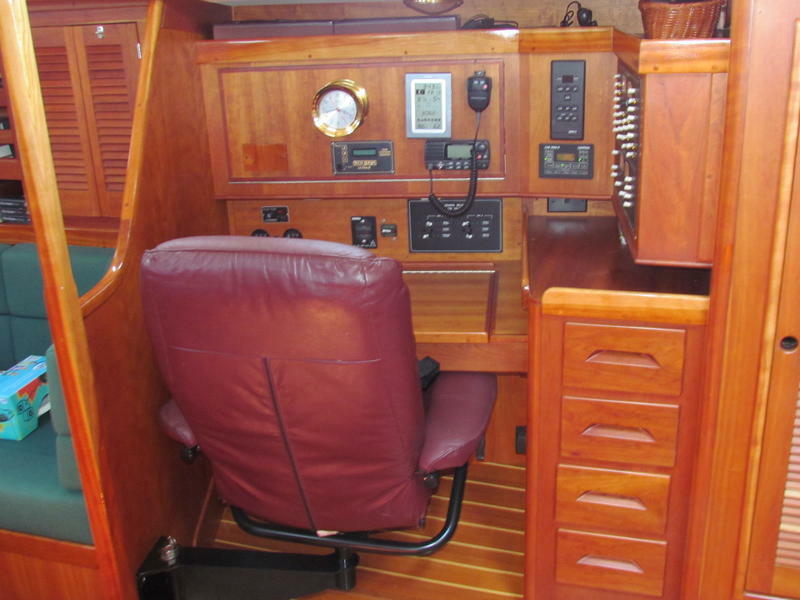 Equipped with solar panels, tank monitoring, screens on all opening ports and hatches, 1000 watt inverter, high output alternator, cold plate refrigeration, custom freezer, Raymarine E-80 navigation system with radar, Vacuflush head, windlass, and generous storage all contribute to the ultimate cruising experience. We lived comfortably on Excalibur for 3 months on one cruise. We can anchor out for days because of the solar panels and invertor. We can easily host another couple on board or two if desired. The spacious main salon can accommodate 6-8 for dinner. 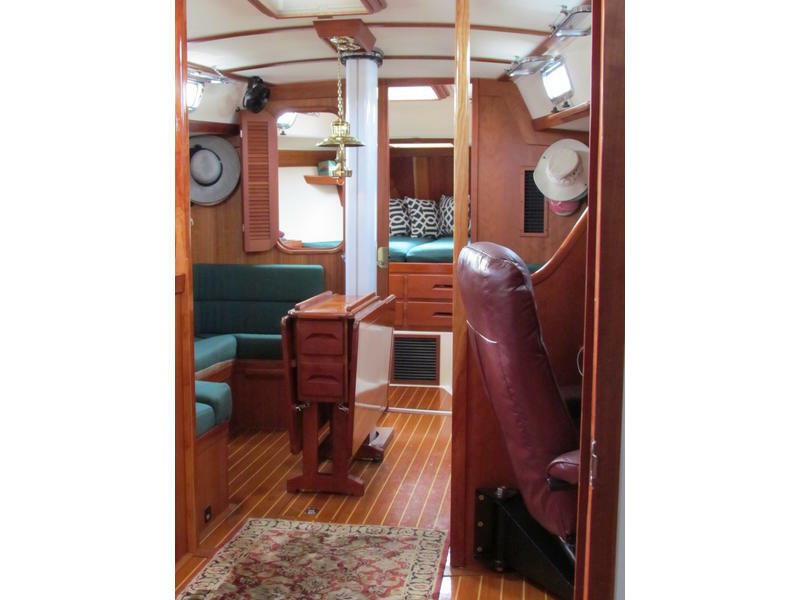 The ambiance of the boat is classic with rich cherry wood tones and hunter green accents. The storage is so ample that all items can be in closed storage (with great louver doors for ventilation) and totally out of sight. 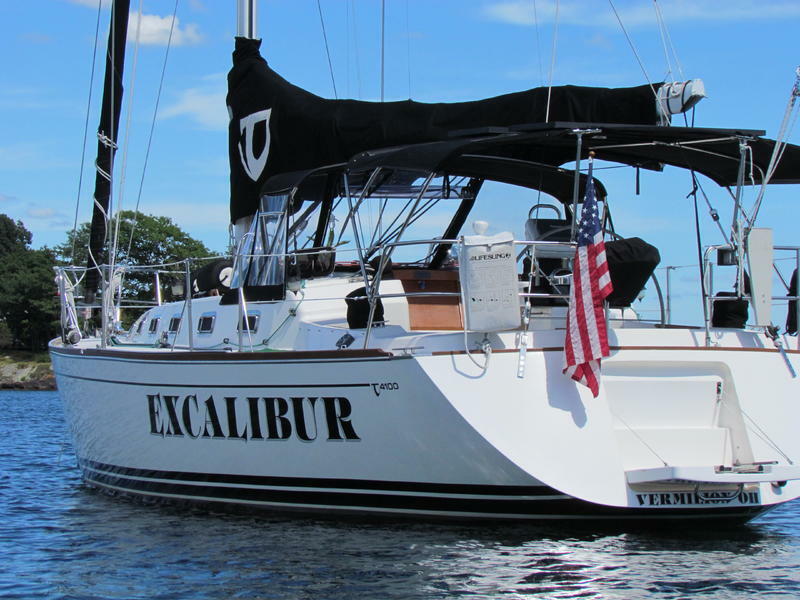 Excalibur is a performance oriented cruiser and would be a good performer or a race course (although we have never raced her). 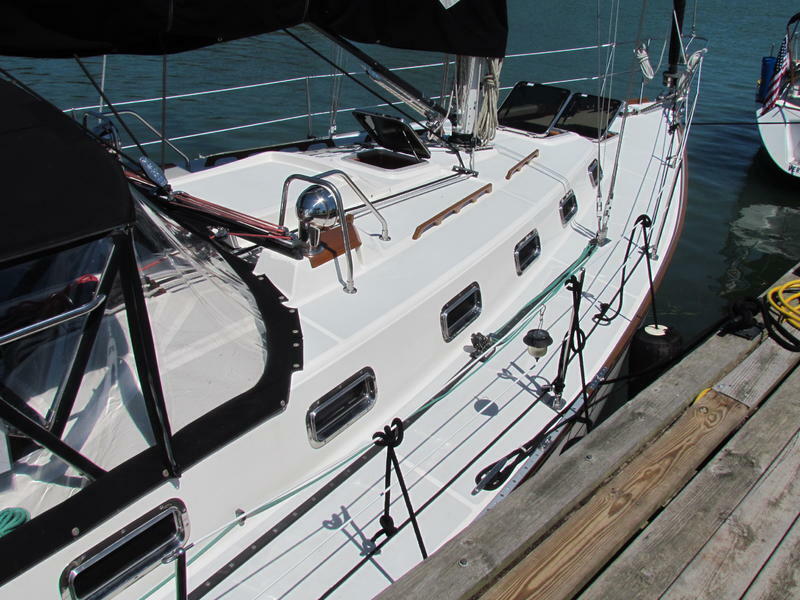 She is equipped with the tall rig, 155% genoa, hydraulic backstay, performance vang and deep beaver tail keel. 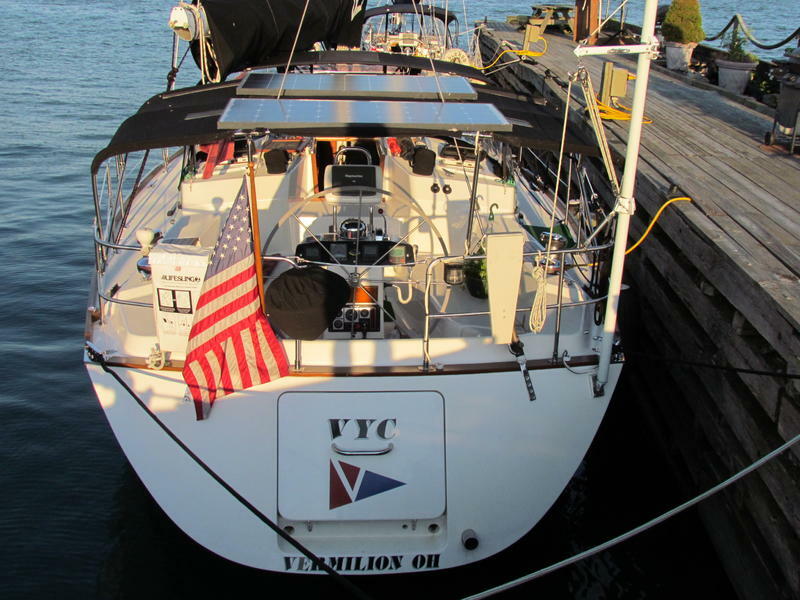 Tim Jackett has stated that this keel allows the Excalibur to be 2000 pounds lighter than the standard boat and sail 2 degrees higher to weather. She is a beautifully sailing boat.